MSI GS63VR STEALTH PRO GTX 1060 - Review & Overview! MSI revealed their new Gaming Laptop, the MSI GS63VR 7RG/7RF STEALTH PRO. It sports an i7 7700HQ Processor, GeForce GTX 1060 6GB GDDR5X Graphics Card, and 32GB of DDR4 memory on board. The most exciting part is the 15.6″ 120Hz IPS Display Panel with rich colors and wide viewing angles. Why choose MSI Notebooks? Well it seems we already have a post about it and consider checking it out here! MSI is considered as one of the companies which creates beast for gaming and we at Ziddle believes MSI GS63VR is one of them. It is priced between around the $2,000 range. In India, the price will probably be near the ₹1,64,000 to ₹1,89,000 range. It is expected to be out at any MSI Local Store near you. The full specifications of this laptop have not been revealed yet, but here is what we have for now. 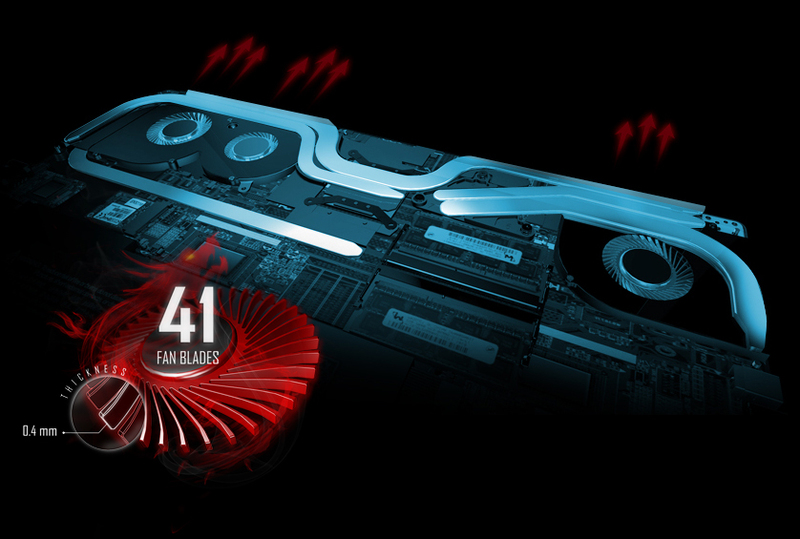 Fans:- Cooler Boost Trinity consists of triple enhanced fans, the Whirlwind Blade. Ergonomically-designed keys with 1.9mm of key travel for better responsive and tactile feedback. Optimum WASD zone and support of anti-ghosting capability for up to 45 keys. One of the finest and perfect stealth gaming laptop. Previous article5 Reasons, Why you should buy MSI Notebooks!